You’ve got a lot of choices when it comes to building out a new pod in the data center. Of course you have the tried-and-true Lego assembly of compute, storage, and networking blocks. 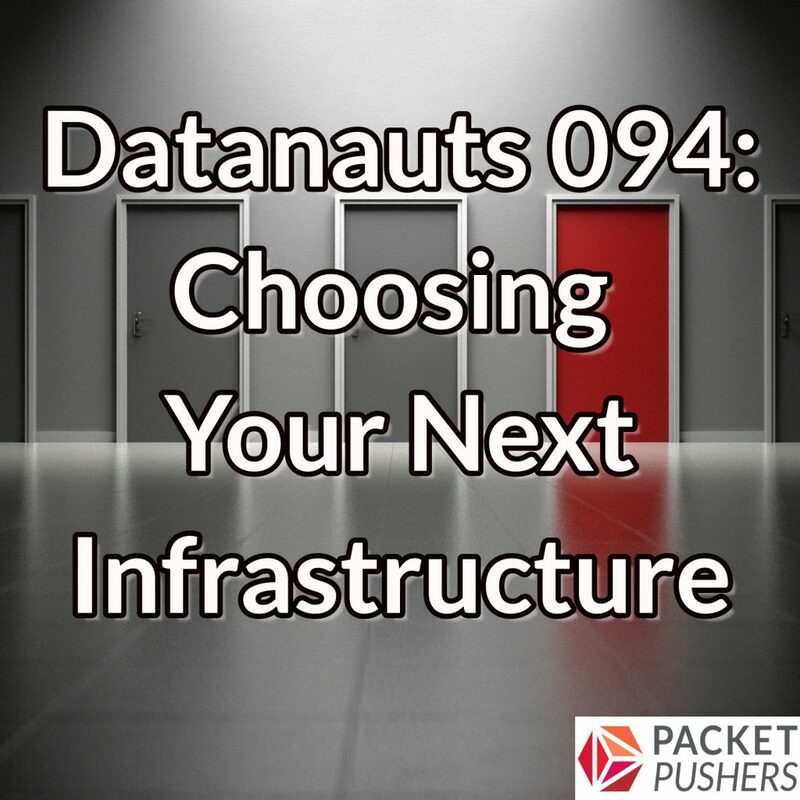 Today on the Datanauts we’ll talk about the pros and cons of these alternative infrastructure options and why you might want to consider them for your next data center project. Our guest is Fred Chagnon, an industry analyst at Info-Tech Research Group. He’s been researching converged, hyperconverged, and composable infrastructure approaches. He’ll share what he’s learned and explore benefits and limitations. And as Fred notes in the show, you need to ask what your infrastructure platform needs to do not just today, but tomorrow.